Alex graduated from the University of Minnesota Rochester with a degree in Health Sciences in 2017. Alex enjoys working as an exercise specialist. He enjoys seeing clients progress and get stronger through improved fitness and exercise. 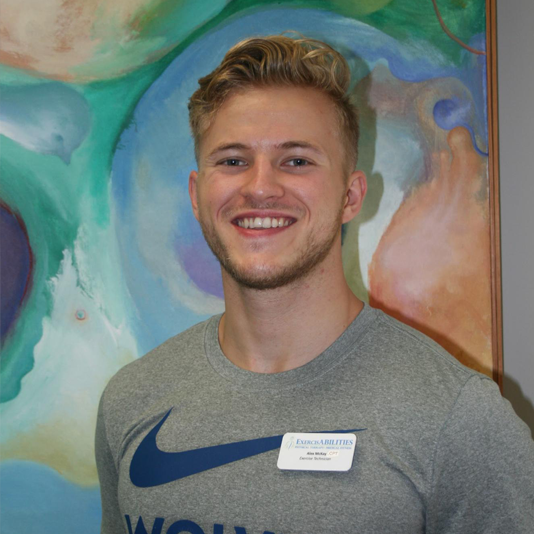 Alex is pursuing a physical therapy career and appreciates the great experience that he is receiving at ExercisABILITIES. Alex enjoys staying active through strength training, playing basketball and coaching kids and teens at the Boy’s and Girl’s Club of Rochester during his free time. He has a passion for music and enjoys playing guitar with lifelong friends around Rochester and Southern Minnesota.